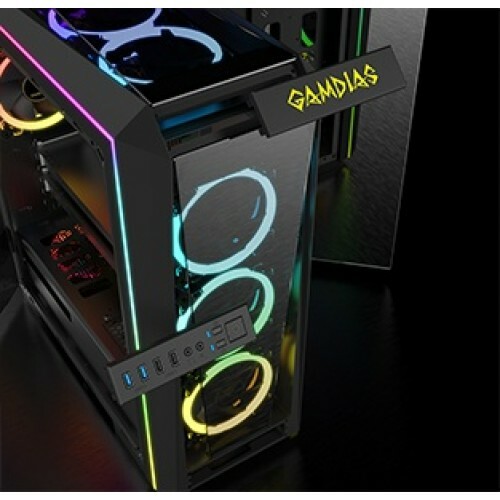 Sleek and Edgy With a trapezoidal tempered glass allowing high air flow to the front and top, and RGB lighting strips around the front and top edges, your PC case will look sleek and edgy! Out of the Ordinary Unlike other PC cases on the market, TALOS P1 comes with two side-swing doors held closed magnetically, not only showcasing all your modded components, also makes accessing them easier and more convenient. 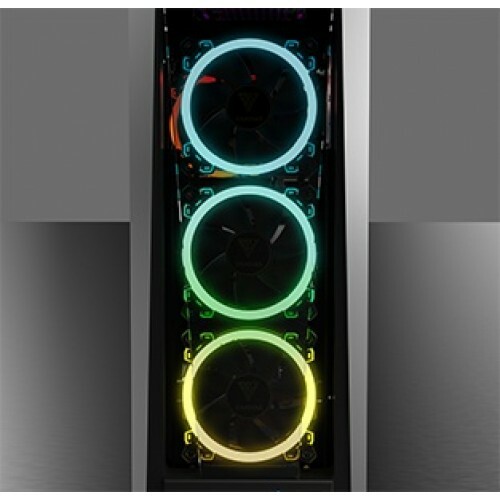 One of a Kind With 3, 120mm RGB dual ring rainbow RGB fans, and space to widen your PC airflow with three 120mm fans or two 140mm fans up top. 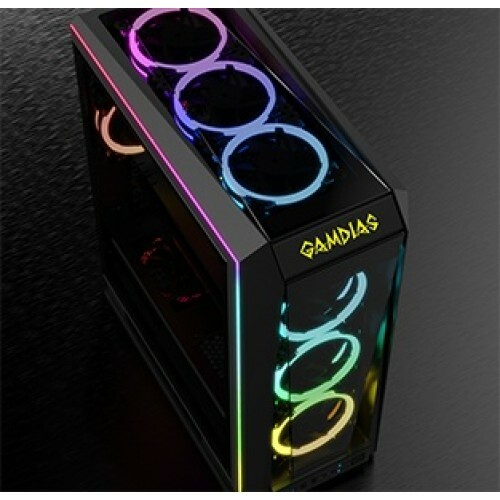 showcasing all your modded components, also makes accessing them easier and more convenient. 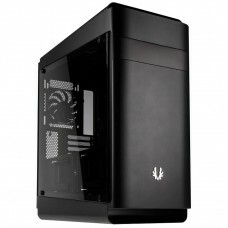 Supporting Front and Top placement of Radiator The top bracket of TALOS P1 can accommodate radiators up to 360mm. Want to show off your style? 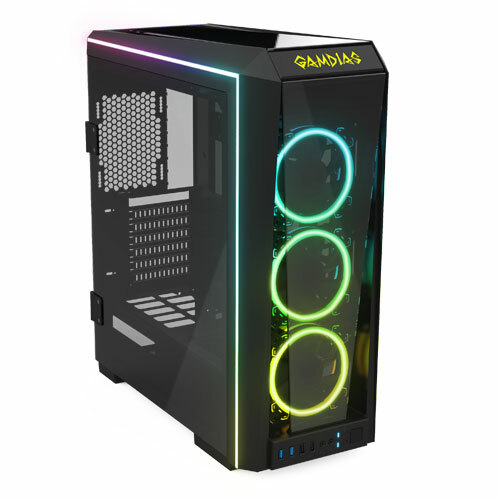 No problem!TALOS P1 case has a built-in vertical graphics card holder (PCI-E Riser Cable is not included); Showcasing your graphics card, made easy!